There is not a youth worker amongst us that has not had to deal with the scourge of family violence. Whether directly through work with or referrals to child protection or indirectly from the aftermath of the abuse we often deal with young people in the midst of their most troubling times. When family violence is part of the picture it adds a very troubling level of complexity to our case work. One that has increased significantly thought my career. When I started as a youth worker it seemed like every other case had a level of family violence associated with it. Every Genogram I created showed the discord within families. Flash forward thirteen years and it is almost unheard of to have a case that is family violence free. From verbal abuse to physical violence the spectrum of family violence is wide and varied. We as youth workers need to have a solid understanding of family violence and the trauma it causes our young people. On Sunday, 22 February 2015, the Governor of Victoria appointed a Chair and two Deputy Commissioners to the Royal Commission into Family Violence. The Commission will inquire into and provide practical recommendations on how Victoria’s response to family violence can be improved. One area that sorely needs to be addressed is support post violence. 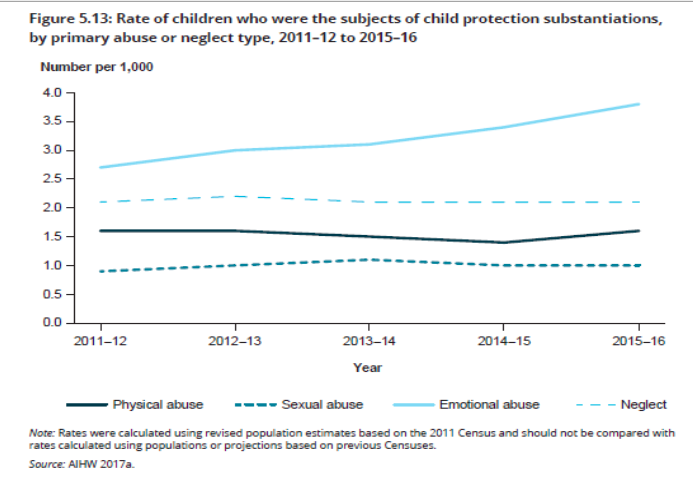 Programs such as youth refuges, mental health services and long term youth housing are but a few areas which young people experiencing family violence come up short in Victoria. We also need to look at the education of front line staff such as youth workers. Currently certificate and diploma youth work courses do not require a family violence component to be undertaken. If we are to provide excellent service to our young people we have to understand family violence in the same way we understand drug use, mental health or trauma and attachment. The Royal Commission into Family Violence is a great first step. However, unless it turns into preventative measures, better services, more training and early intervention it is a waste of time and money. Aside from the Royal Commission into Family Violence we as youth workers must do more. Get some more training, continue to stand in the gap for your young people getting appropriate service and keep advocating.